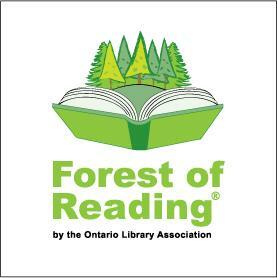 Get involved January through April in the largest recreational reading program in the Province! Check out the 2019 Blue Spruce Nominees! The Blue Spruce™ Award program brings recently published Canadian children's picture books to Ontario children ages 4 to 7 in kindergarten through to grade two. This program promotes reading for enjoyment and begins to develop the reader’s skill in evaluating a picture book based on story, text and pictures. Check out the 2019 Silver Birch Fiction Nominees! Check out the 2019 Silver Birch Non-Fiction Nominees! Check out the 2019 Silver Birch Express Nominees! The Silver Birch® Award is comprised of three separate lists of Fiction, Non-Fiction, and an Express list that is made up of both Fiction and Non-Fiction, geared to the more reluctant reader. The Silver Birch® program is meant for readers aged 8 to 12, from Grades 3-6, with the Express list focusing on the lower grade level and the Fiction and Non-Fiction focusing on the Grade 5 and 6 readers. Check out the 2019 Red Maple Fiction Nominees! Check out the 2019 Red Maple Non-fiction Nominees! The Red Maple™ Award reading program is offered for the enjoyment of students in Grades 7 and 8, ages 12 to 13. This program includes a Fiction list every year and every other year Red Maple also offers a Non-Fiction list. This year Red Maple™ has a Fiction & Non-Fiction list. This program aims to get readers engaging in conversation around the books and encourages them to use critical thinking while reading.